Mostly everyone owns a smartphone these days. New ones keep hitting the market and old ones are tossed back to the bin. In this cut-throat competition of sales by mobile retailers, app stores are not left indifferent. Many developers are creating new apps to improve lifestyles and fuel interests of customers. Where do they end up? On App Stores! There are two major App Stores that we know of. Google Play Store For Android and Apple App Store for iOS are dominating the market. We saw many interesting app recently like PUBG App and Aspers Casino on Google Play. Yes, an exclusive app by the popular casino brand. It offered all the top slot and casino games. You can download it for free on Android devices. Enjoy great games in the comfort of your home. Did you know that there are much more than these two? Here’s a brief of some app stores that are existent and offer apps for download. AppBrain is an online Android-based app store. It enables installations directly to the phone of the user. It was created by Mathijs Vogelzang with the partnership of AppTornado in 2009. AppTornado is a Zurich-based mobile company. AppBrain offered various popular apps. They reach up to 50 million downloads when combined. The Store displays Android Apps in different categories and rankings. Users may use search to find any specific app as well. Want to check out the hot favourite apps? AppBrain includes filter and sorting options. Today, AppBrain is with over 1 million apps across its platform. SlideMe was created in 2008. It is based in Seattle and serves as a marketplace for apps. There is a great range of Android Apps for any types of audience. 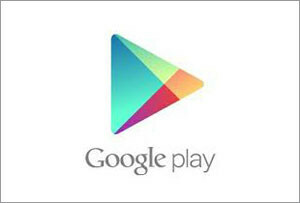 The aim for the Appstore was to reach people who do not have Google Play on their mobile. They fall just behind Google Play Store in terms of global reach. Even if they are not first in the world, it is still a commendable feat. SlideMe comes in the form of an app. They track down your location and device type to offer you the best results. If you are a developer, you can join SlideMe community and market your products as well. The app is free for developers and is accessible anywhere in the world. If you are looking for a collection of games, apps and videos, 1Mobile may be the perfect alternative app. The applications found here are available in multiple mobile formats. You can even check out a list of “Games Of The Week”. The list features the best new apps that appeared on Google Play. It comes with an editor’s choice section as well. You can browse and download over 60,000 apps. 1Mobile is a good Appstore for developers as well. They can go through a standard registration process and can instantly submit their app. If approved by the company, it appears live within two business days. If not, they reply back with a feedback and once you do the necessary changes, they will push your app live. Are you sticking to the major app stores or are you ready to try new ones?